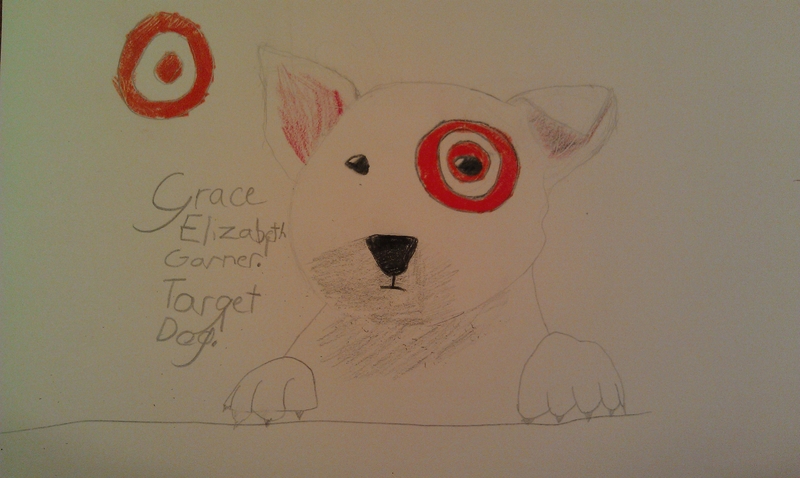 Here is what Grace submitted to Harmony Art Mom’s Sketch Tuesday assignment “Something with a Logo.” Yes, we do more than our fair share of shopping at Target…Yes, Grace wants a dog. Not getting a dog. Previous Previous post: We actually did this: a Thanksgiving Tree!